The Founder or R.A.I.N. is Bea Castiglia-Catullo who we are very proud to say is a member of our Club, and in fact, is our first female member. For many years, the Rotary Club of the Bronx has given grant money to R.A.I.N. (Regional Assistance for Interim Needs) to help with their seniors programs. R.A.I.N. 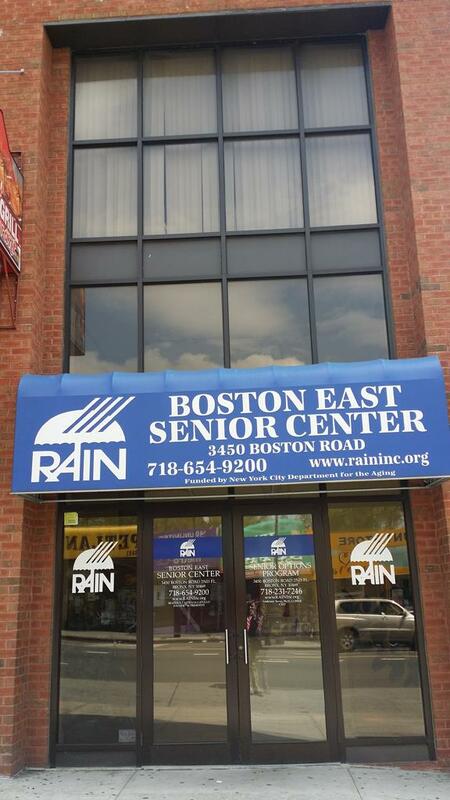 has grown into a multi facility, multi million dollar powerhouse organization for seniors in the Bronx and neighboring boroughs. Bea, who celebrated her 100th birthday in November of 2016, conceived of a mobile food kitchen to serve the homeless in the Bronx when she was a mere 94 years old. Bronx Rotary thought the idea was an excellent one, filling the gaps left by services such as Meals on Wheels for which one has to have an address to which food can be delivered, so grant money was given to help her get started. Her friends Louise and Luis DiMeo gave Bea the bulk of the seed money, and her idea resonated so strongly with the administrators of the Dolores Hope Foundation, that fast forward...Cucina Dolores food trucks now circulate throughout the Bronx on a regular schedule. One of the R.A.I.N. facilities. 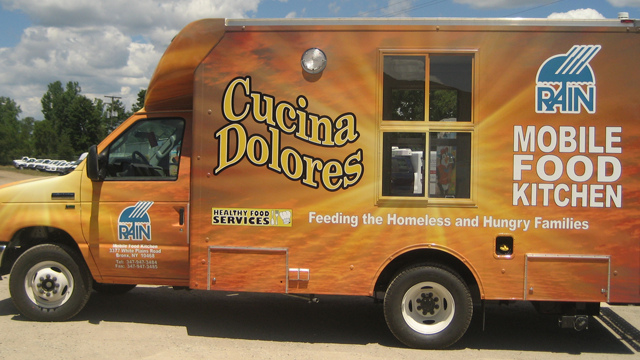 One of the Cucina Dolores food trucks.